INDIANAPOLIS, Ind. 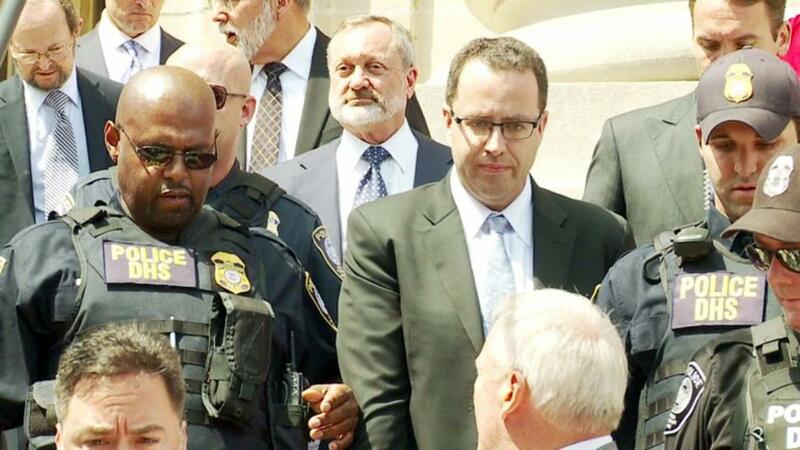 (FOX) – Jared Fogle filed a motion in response to a lawsuit against him, blaming a victim's parents for her "destructive behaviors." The victim, referred to as "Jane Doe," sued Fogle and Russell Taylor in March. She is seeking $150,000 for personal injuries, emotional distress, invasion of privacy, negligent supervision, and negligence. Court documents say sometime between March 2011 and January 2015, Taylor installed multiple hidden cameras in his home concealed in clock radios to secretly film various minors, including Jane Doe, changing clothes, showering, bathing, and engaging in other personal and private activities. Court documents also say Taylor distributed these sexually explicit images and videos to Fogle. Fogle's filing targets the victim's parents. He says they fought around the girl and abused alcohol in front of her. When they got divorced, Fogle says Jane Doe had to constantly rotate her living arrangements, causing unnecessary stress, anxiety and trauma. As a result, Fogle says the girl suffered major depression and engaged in "destructive behaviors," including abuse of drugs and alcohol, self-mutilation and suicidal thoughts. The lawsuit says the parents' failure to properly supervise the girl resulted in the harmful behaviors. He is seeking to add them as defendants in the lawsuit filed against him by the victim. Fogle is currently serving a more than 15-year sentence in federal prison in Colorado. Russell Taylor is currently serving 27 years in federal prison in Florida.